The pineapple is a royal fruit. With a golden, diamond pattern and crown of leaves, it is a fruit fit for the opulent and lavish landscape of the Versailles Palace. Yet, in all the pineapple’s prickly grandeur, it is easy to overlook this exotic touch to the neoclassical décor. The velvet swathes of cloth that drape the beds and windows, the crystal chandeliers and the infinite mirrors radiate such extravagance that in comparison even the “king of fruits” is humbled. The extent of the decorative occurrence of the pineapple is exclusive only to the keenest observers. In the Petit Trianon Palace, intermingled with the more common fruits like apples and grapes, the tuft of leaves of the pineapple appears in the wall decorations. The golden designs on the chest of drawers feature a horn of fruit with a pineapple emerging from the center. In the main palace, in the Queen’s Private Cabinets, a painting of a potted pineapple by Jean Baptiste Oudry hangs on the wall. The pineapple, however, was not just a decorative decision made under Louis XIV to symbolize the 18th century European ethereal vision and glorification of distant lands. It was grown in the grounds of Versailles and was a feature on his table. “Versailles was a scientific place for bringing plants from all over the world and there was a great interest specifically for pineapples,” says Bertrand Rondot, head curator of the Museum of the Château de Versailles. Close to the Trianon is the “potager du Roi,” a 23-acre, green world of fruits and vegetables that provided sustenance for the inhabitants of Versailles. By the time of the French revolution, there were 800 pineapple plants growing. 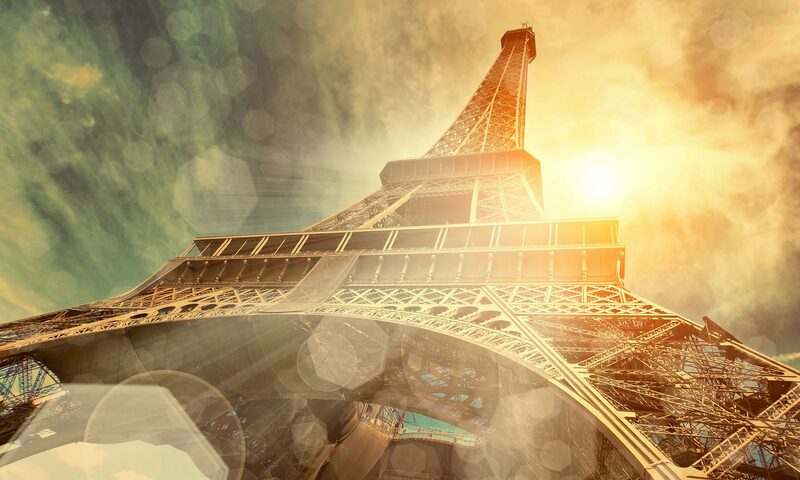 Today, the pineapple is a common feature in France. From pineapple door handles in the Grand Pigalle Hotel to pineapple tomatoes sold at the local grocer, this golden fruit is no longer exclusive to the rich. This fruit has seduced France. A pineapple mania is gripping the country. 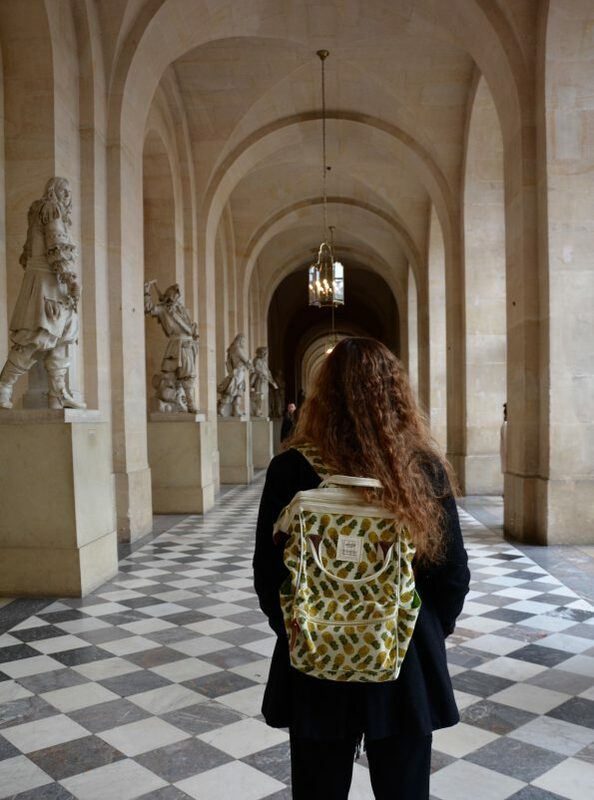 My pineapple backpack is a fitting addition to the Pineapple theme in Versailles. Photo by Iris Samuels.